You might be looking at your old chimney and thinking about removal. Unfortunately, this is not as simple as it first seems, and there are many factors to consider before you begin. In the event you wish to remove the chimney for purely aesthetic reasons, the effort involved may prove more than it’s worth. What follows are a number of important factors that must be considered before beginning to tear down your old chimney. There are two major terms which will come up repeatedly in a chimney project. Understanding these two terms is necessary for deciding on the appropriate actions and calculating costs. The chimney breast is both the most visible and vital portions of a chimney. This brick wall encases the flu and other functional parts, providing extra insulation and major structural support. Unfortunately, the breast has a habit of protruding into all the rooms it passes through. In the event you wish to reclaim this space in a room, it is possible to remove only that section of the breast instead of the entire chimney. Note that removing any portion of a chimney breast will require structural reinforcements for that floor and the one above, as well as possible reinforcement of the outer wall. When people think of a chimney, this is the part they tend to picture. It is the portion which protrudes from the roof, ending in a cap. Leaks and structural damage are the most common reasons for wanting to remove a chimney stack, and in such cases, you will have the option of simply covering over the rest of an unused chimney when you extend the roof over the gap left by the stack. There are a number of things to consider before planning out a chimney removal beyond the project itself. These include both short-term and long-term effects from the removal, as well as setting goals and informing neighbors of the project before beginning. When tearing down chimneys, artifacts left over from the original builders may often be found. These include signed or dated bricks, trinkets collected by animals who took up residence in the flu, or other surprises. In some cases, these may prove of value, either directly or historically, so always keep an eye out for anything unusual. When planning to remove a chimney, you may be looking primarily at cost estimates from contractors or planning to remove the chimney yourself to save money. However, there is also a long-term impact on the value of your home. This is especially true of an older house in which chimneys are an aesthetic highlight, or you are in a neighborhood in which most homes have chimneys. In such cases, it may be better to seal the flu and replace the stack and cap with a purely decorative faux chimney. You should keep in mind at all times that chimney removal is a lengthy, difficult process which can potentially lead to serious structural concerns. It is best to have several people working on the project at once, and having experts on-hand may significantly reduce the risk of complications. If you cannot afford a contractor to do the job, you may wish to hire a consultant for professional advice as needed. All of these are valid reasons, although some require additional considerations, such as whether a full removal will be necessary or if the removal will cost more than simply repairing or maintaining the chimney. Pollution ordinances are more common in the UK than the US, but often revolve around the type of fuel being burnt, as well as the amount and quality of emissions being produced. To a much smaller degree, a chimney which is still in use may also have some minor impact on your efforts to gain LEED certification on a home renovation. This is almost invariably tied to emissions and heating issues. Sometimes sealing the flu or changing the type of fuel you use will remedy this problem without the need for a costly removal. Simply having a chimney will not affect your ability to pursue a LEED certification rating. 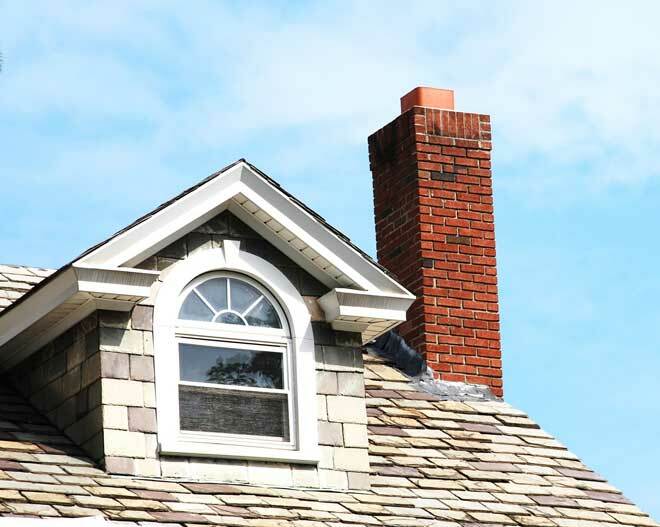 Whether you do the project yourself or hire a contractor, be warned that removing a chimney is time-consuming work, especially traditional brick ones. A brick chimney must be carefully disassembled one brick at a time to avoid structural damage. This not only equates to a long involvement on your part, but may significantly impact your budget when hiring help. Removing a chimney is a full-blown project, as the visible stack is only one small portion of a much larger structure. You must plan every step of the project before you begin to avoid setbacks and possible fines. You will need to speak to a lot of experts before beginning your project. Masonry experts can tell you if the chimney can be salvaged and simply sealed off or repaired for less cost than removal. Structural experts will need to be contacted to explain any potential concerns in the event you are removing the breast from one or more floors. Your local code enforcement office will be able to tell you what documents or permits will be necessary for the project. Finally, consulting with a contractor should be accompanied by checking their reputation and qualifications prior to hiring. Simply removing the stack may not create a lot of debris, but if your plans involve taking out the chimney breast in one or more areas, you may be looking at a large amount of brick and tile. This is not only expensive to dispose of, but may require special permits. Be sure to fully research local disposal regulations and see if there are masonry companies who may be interested in salvaging the materials. In the latter case, disposal may be cheap or even free, depending on the company and state of the bricks you remove. Removing a chimney isn’t as simple as getting rid of the visible stack. This part is only a tiny portion of the actual chimney structure. A full removal involves getting rid of the entire structure and often leads to extra space in rooms where the breast is intruding. Full removals require a lot of extra structural reinforcement, as it creates a large gap in your home. Partial removals tend to leave the breast. These also require some new reinforcement, but mainly along the roof to help strengthen the roof and prevent leaks. Partial removals are faster, cheaper, and are sufficient for projects where the intention is to remove a badly damaged stack. They are also safer when removing a chimney from an external wall on a fully detached house, as full removal will significantly weaken the entire wall. 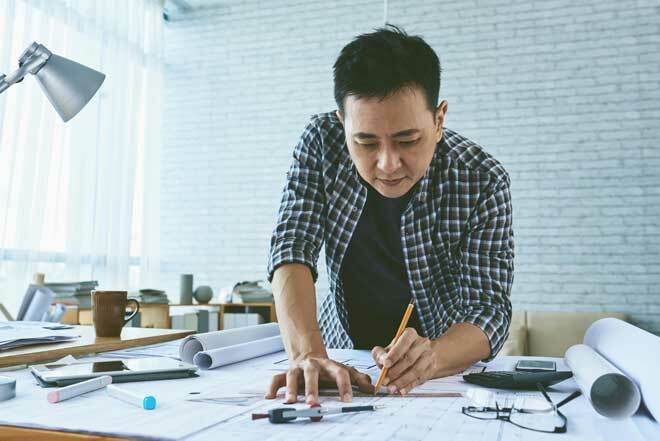 Blueprints – Having a schematic of the house is a valuable tool, as it will warn you of structural concerns or possible shared-wall problems with the house next door. Certifications – If you hire someone else to do the work for you, make sure they are properly certified for the upcoming task. This includes experience in chimney removal and construction. Disposal Permits – You may be required to obtain a special permit for the disposal of waste. This is especially true if you will be discarding shingles during the project. Liability Insurance – Any contractor you hire must be properly insured to avoid all liability falling upon you. Chipping away at old masonry one brick at a time is a long and dangerous job. Be sure to have adequate head and body protection, and be aware of the high levels of dust you will be creating that could affect breathing or vision. Try to always have at least one spotter who can make sure ladders remain stable and no loose masonry is at risk of falling onto you.